Every now and then, a book comes out that defies the usual reading genres. It’s a book that we try to categorize, but it doesn’t even matter because all kinds of readers read it. It’s the book that makes the top of the “If you read one book in 20__” list. Let’s call it The Wonder Book. It’s awesome when we readers find books like that, because for a few minutes, a bunch of us who read all different kinds of books can talk about the same one. The Wonder Book becomes that book on everyone’s reading list, or the only answer in every conversation on social media related to books. And if you’re lucky (or living under a rock, or just really stubborn), you haven’t read The Wonder Book and you get to experience it for the first time. But after a while, you say, “What should I read?” and people say, “I love Harry Potter,” or “You have GOT to read Unbroken” and you slap your forehead. Can’t anyone recommend anything else??? This is what happened about three years after the publication of The Book Thief. The Book Thief was “The Wonder Book” in 2011 (though published in 2008). My husband and I both read it and thought it was great. 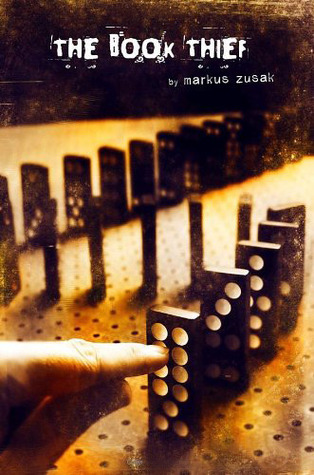 If you have read The Book Thief, you know it’s one of a kind in its writing style and perspective. And if you’ve read it and are now on the hunt for another great book, I found a similar one last week. 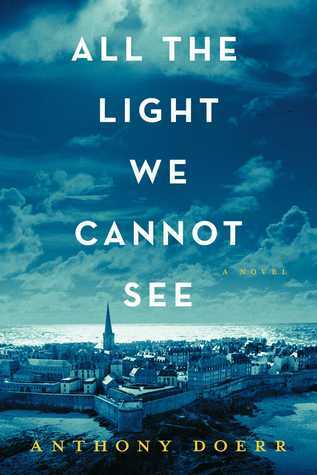 All The Light We Cannot See is making waves in the literary world. I just finished it last week, and I am still trying to figure out the end, but I would venture to say that it’s really, really good. It’s an odd mixture of myth and history, with memorable characters and precise yet descriptive writing. If you’ve read extensively about Europe in World War II, you will understand all the horrors that are mostly veiled in this particular novel. There are definitely some harsh realities, but much is left to the imagination, or to the reader’s own historical knowledge, which might be nice for someone who doesn’t want to delve too deeply in WWII history. (Too late for me). I enjoyed it for its many layers of fine plot details, symbolism, and historical relevancy. I will never forget the characters. My only complaint is the format is a bit choppy, which is great and makes it into a page turner if you can sit down and read for a good solid chunk of time, but is a challenge for people like me who often read in snatches. So read All The Light We Cannot See and then let me know what you think happens at the end! Here are some of my other favorite WWII books which are not much like The Book Thief, but I love them. This will probably appeal more to women readers. It’s the story of Jean Thornton’s attempt to rescue her cousin who is arrested by Nazis for aiding the French Resistance. I read as a teenager, and still enjoy it as an adult. Quality-wise, it probably shouldn’t be on the same list as Doerr and Zusak, but I’m putting it here because it’s one of my favorite books set in World War II Europe. The Plum Tree, by Ellen Marie Wiseman – I loved this book! It’s the first one I ever reviewed on my blog. Read my review here.